Jon Rahm could’ve walked away as the winner of the 2019 Players Championship. He didn’t, in large part, because of one terrible decision. It exacerbated a bad round that was already leaking oil. And worse, it set the tone for the critical holes to come. The shot came on the 11th hole. After hooking his drive left into the 562-yard par-5 11th, he attempted to hit a hero shot from a fairway bunker. The shot would need to fly between two trees that would then hook over water, another greenside bunker, and into a pin that was tucked on the right side. 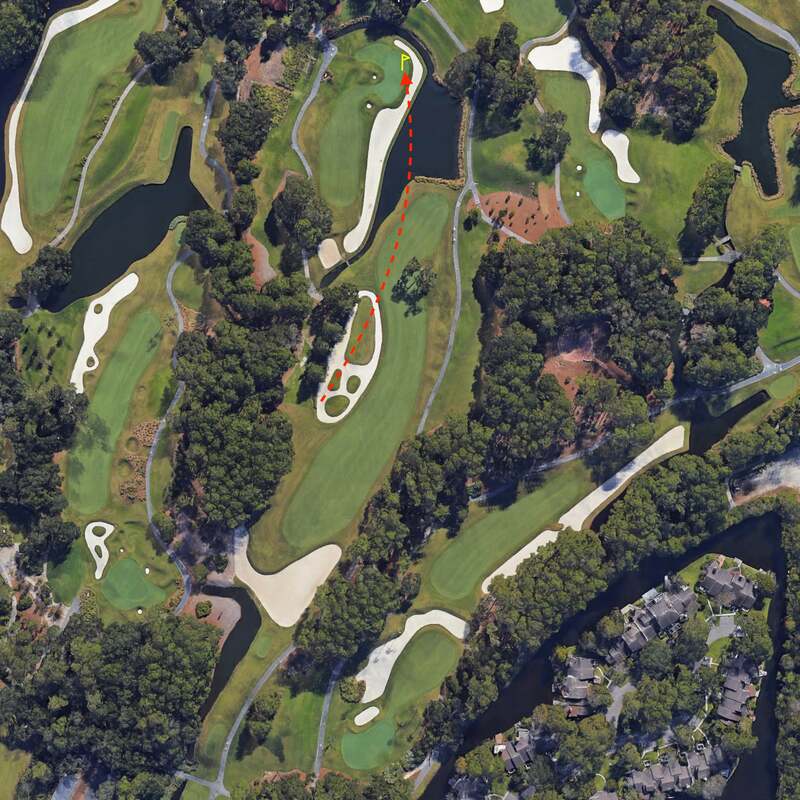 A Google Earth image of the miracle shot Jon Rahm attempted to hit puts the difficulty of the shot into greater perspective. Rahm’s caddie Adam Hayes implored him not to hit that shot. He did anyway, and it turned out pretty much as expected. He bogeyed the hole, and after turning in a one-over 37, Rahm came back in three-over for 76. This conversation between Jon Rahm and his caddie. Golf Channel’s Brandel Chamblee called the decision “baffling,” and he’s right. We’ll be generous and call it, at the very least, an extremely low-percentage play. But in reality it’s the kind of decision that makes golf fans wonder if Jon Rahm is major ready, after all. Perhaps it’s all part of the process. Making mistakes is part of life and, indeed, golf. Making them isn’t bad in itself; it only becomes an issue if you don’t learn from your mistakes. Jon Rahm should’ve heeded his caddie’s advice, pitched out and moved on. It’s a lesson golfers everywhere can apply to your own game: You don’t always need to hit the hero shot to win. Sometimes, playing well means winning ugly. For that, Rahm can look no further than the golfer who did walk away with the trophy on Sunday: Rory McIlroy. It was back in 2011 when Rory, following his disastrous collapse during the final round of the Masters, said he had to learn to lose before you can learn to win, and that wisdom shined through at the 2019 Players Championship. Rory wasn’t at his best throughout the final. But he claimed victory because he played smart, and learned from all his near-misses. Wise words, and a message Jon Rahm should take to heart.